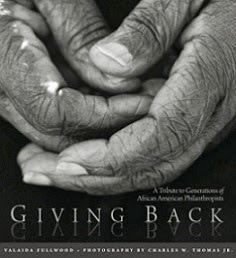 Each week during August, the Black Philanthropy Month 2013 campaign will spotlight a nationwide opportunity to give and serve. This week focuses on the inaugural BlackGivesBack To School™, a national drive for supplies, clothes and volunteers as students, teachers and parents prepare for a new school year! You can lead your own drive or contribute to others. Below are ways that you participate in “BlackGivesBack To School” this week. In the Washington, DC area, join “Supplies and Socials,” a month-long school supply drive, with happy hour socials and a school beautification project, organized by Friends of Ebonie, The Black Benefactors and BlackGivesBack.com. When you donate school supplies, you gain free admission to all social events. Starting this week, Supplies and Socials are happening across DC. For school supply drop off locations, happy hour socials and to volunteer for DCPS beautification day, visit http://suppliesandsocials2013.eventbrite.com/. NBA player and Baton Rouge native Tyrus Thomas will host, for the sixth year, a Back To School Giveaway Extravaganza in partnership with Councilwoman Tara Wicker at the Baton Rouge River Center. Students will receive giveaway bags filled with school supplies. In addition, information on healthcare and social service resources will be available. 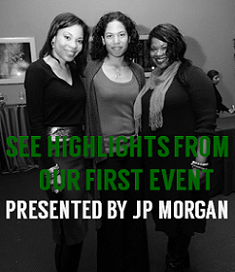 Visit the BPM Events Calendar for more information. Inspired by this month’s 50th anniversary commemoration of Dr. King’s “I Have a Dream” speech, DonorsChoose.org has joined with Black Philanthropy Month 2013 to match donations up to $50 contributed in support of classroom teachers and their students at schools in need. ANY PROJECT on the DonorsChoose.org site is eligible, when you use the promo code: DREAMS. Dreams can be fulfilled with your gift of $50. And with your support, the drive could raise a total of $50,000+ during August for thousands of students across the country and in your own community. Please give to and help publicize the month-long matching program on DonorsChoose.org. Visit here for the BPM/DonorsChoose donation page. Share news of any back-to-school drives and efforts that you’re a part of in your community, by submitting the information here. You also can post information on your local drive on Twitter and Facebook using the #BPM2013 hashtag. We will help to spread the word!